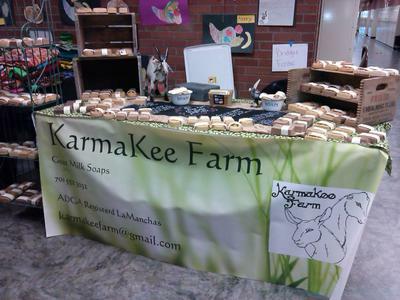 I make goat milk soap and skin care products and also have my sisters rag rugs for sale-I own and milk the goats. Willing to travel 50-70 miles from Yelm, Washington. For booking contact Bridget Fosse at 7015523032, or visit website at www.karmakeefarm.com.